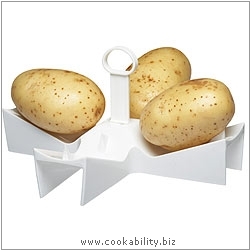 Holds up to four potatoes for baking in a microwave. Easy to clean non-stick. Folds flat for easy storage. Not for use in conventional ovens.